How Dr. Schweitzer cured his type II diabetes in 1950. 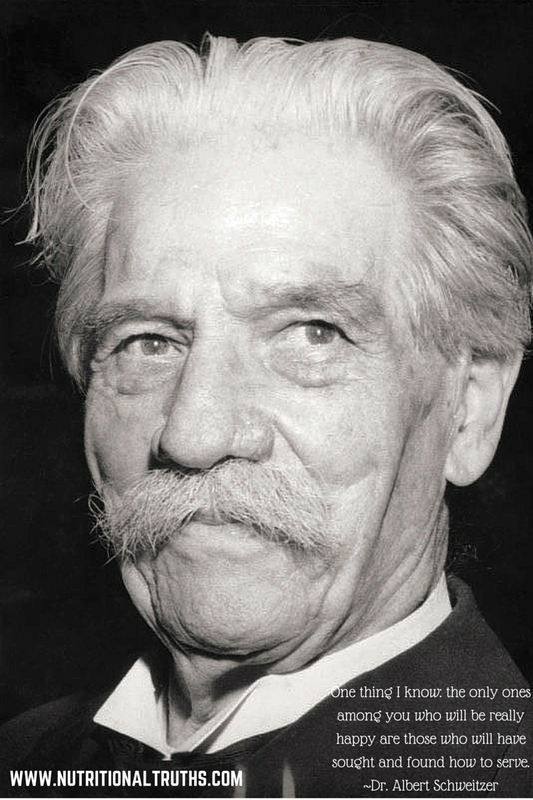 Dr. Albert Schweitzer was born in Germany in 1875 the son and grandson of Lutheran ministers. He was known for many things including being an acclaimed organist, an international authority on Bach, an author, a church pastor, the principal of a seminary, a university professor with two doctoral degrees and philanthropist. Realizing the rising and unanswered needs for medical support in Africa, he spent seven years educating himself and graduating in 1913 from Strasbourg University as an MD. His goal was to open a hospital in the wilds of Africa, and he did just that in a town at the time named Lambarene, now known as Gabon, nestled along the Ogooue River not far from the equator. He brought his wife Helen to assist him and though they spent a few months in an internment camp during the second world war: it didn’t slow them down one bit. 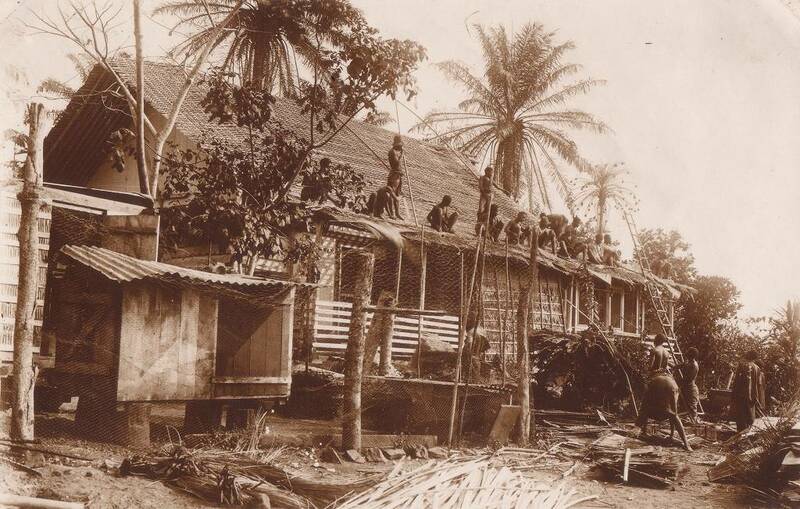 Once released they got back to it with him heading the facilities and with a growing demand he opened a leprosarium. In 1950 he met Dr. Max Gerson, who used his Gerson protocol to heal Schweitzer’s type two diabetes and Albert became a vegetarian. 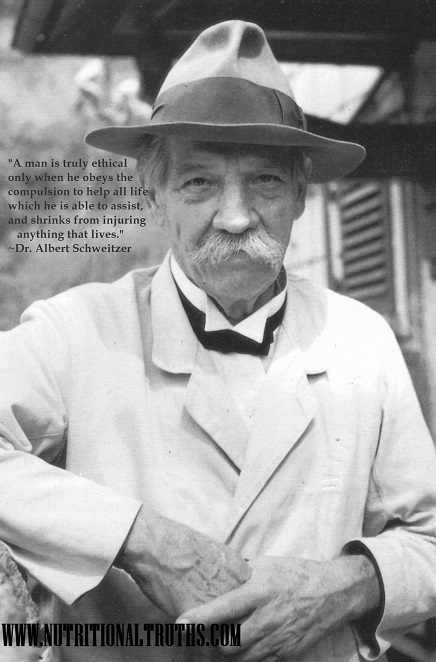 Dr. Gerson’ s protocol also cleared up Schweitzer’s daughter’s chronic skin condition and saved the life of Albert’s wife, who suffered from tuberculosis, which had not responded to conventional treatment. Another confirmation that the Gerson protocol worked! 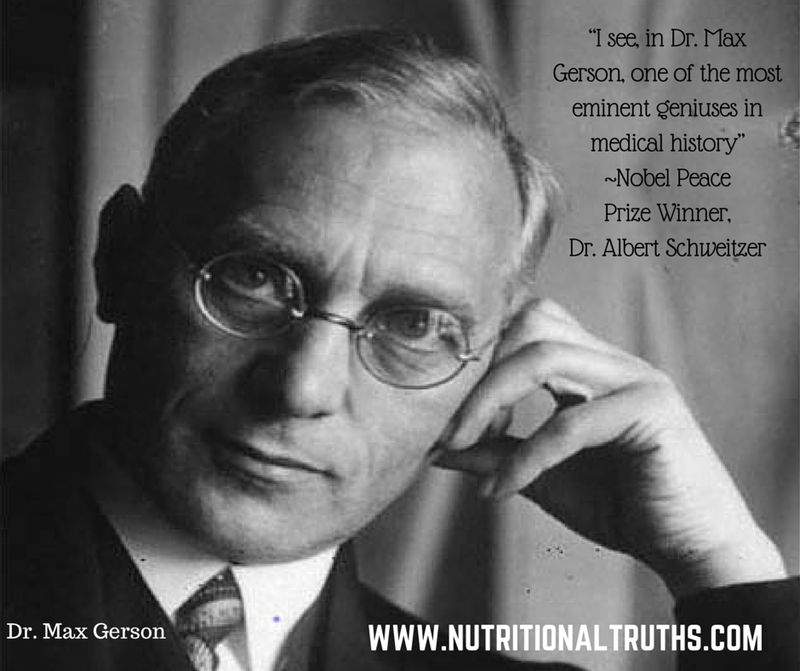 Dr. Schweitzer said of Dr. Max Gerson “I see in Dr. Max Gerson one of the most eminent geniuses in the history of medicine.” Dr. Schweitzer won the 1952 Nobel Peace Prize, and he died in 1965 at the age of 90 at his hospital in Africa. At the time of his death, he had served tens of thousands of people and had grown the complex into seventy buildings with over five hundred and fifty beds. Through his generosity, he set up trusts that keep facilities open to this day. You can learn more about Dr. Schweitzer and his accomplishments as well and Dr. Max Gerson and all he has done to bring about healing online. Consider viewing Dying to have known, which is a documentary about the Gerson protocol while one titled Simply Raw, is all about ending diabetes and can be found online also. Enjoy your weekend, like and share, stay cool, and Be Well!